- its safe and easy. MonroePaDems Happy Good Friday and Pesach Sameach (Happy Passover) to everyone! Join us at our next MCD meeting Thursday May 16, 7 – 9 pm at our office at 18 S. 9th Street in Stroudsburg. This is your last chance to hear from our candidates on the ballot in the upcoming May Primary. April 22, is the last day to REGISTER TO VOTE in the Primary Election. The Municipal Primary Election is May 21st. Make sure you are ready to vote. Keep the Blue Wave Rolling! If you live here in Monroe County such as on the ESU campus you must be registered in Monroe County to vote at a Monroe County polling place. If you are registered to vote in a different Pennsylvania County or another state you must obtain an absentee ballot and vote by mail there. You can change your registration online HERE. April 22nd is the last day to register or change your voter registration to vote in the May Primary Election. 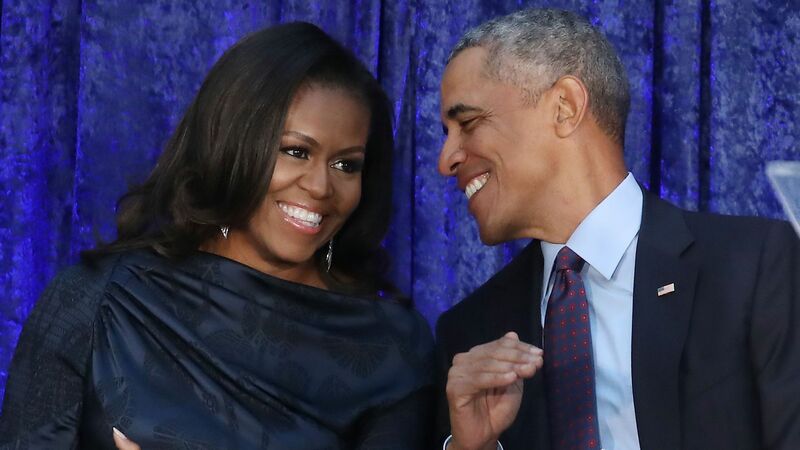 For the 11th year in a row, President Barack Obama is the most admired man in the world in the Gallup poll, and this year joined by Michelle Obama as most admired woman. Read the story here. Please consider donating to the MCD this year. We rely on our local donors to support our candidates and pay the bills. It's safe and easy right here! The Top of The Mountain Club (Tunkhannock, Tobyhanna Townships, Mt. Pocono Borough), Saturday, April 20, 10:15 to noon at the Clymer Library, Pocono Pines. April 22, is the last day to REGISTER TO VOTE in the Primary Election. The West End Democrats Club meeting is Thursday, April 25 at 7pm at the West End Fire House 715 Brodheadsville. The Eastern Pocono Club meeting is Thursday, May 2 at 7pm at the MCDC office. May 4th, for the 2019 Monroe Democratic Honorary Dinner at the Chateau Resort, 300 Camelback Road in Tannersville. This year's honoree is State Representative Maureen Madden. Social Hour starts at 6pm and Dinner follows at 7pm. To purchase tickets online and for more information go to our secure ordering page on ActBlue. The Monroe Young Democrats meeting is Monday, May 6, 7pm at the MCDC office. The Progressive Democrats of Monroe County meeting is Thursday, May 9, 7pm at the MCDC office. May 14, is the last day to APPLY FOR AN ABSENTEE BALLOT. May 17, is the last day for the County Board of Elections to RECEIVE YOUR ABSENTEE BALLOT. The Top of The Mountain Club (Tunkhannock, Tobyhanna Townships, Mt. Pocono Borough), Saturday, May 18, 10:15 to noon at the Clymer Library, Pocono Pines. May 21, 2019 is the MUNICIPAL PRIMARY. VOTE BLUE, VOTE FOR YOU! The Monroe Young Democrats meeting is Monday, June 3, 7pm at the MCDC office. This will be the voting for endorsement meeting. All current members can vote for which candidates to endorse in the May Primary. The Eastern Pocono Club meeting is Thursday, June 6 at 7pm at the MCDC office. Saturday, June 8 PA Democratic State Committe PA Democratic State Committe. Harrisburg Hilton. All Democrats welcome. The Monroe County Democratic Honorary Society meets Wednesday, June 12, at 7pm at the MCD Office. All those who paid for a ticket to the Honorary Society Dinner are members and can vote. For more information: (570) 629-1756. The Progressive Democrats of Monroe County meeting is Thursday, June 13, 7pm at the MCDC office. MCDC Picnic at the American Legion, East Stroudsburg on Saturday June 22, noon to 4pm. Entertainment by Roy Ramos. The West End Fair is August 18 to the 24th at the West End Fair Grounds in Gilbert. Volunteer to help staff our booth and support our candidates. Stroudfest is August 31st along Main Street in Stroudsburg. Volunteer to help setup and staff our tent to support our candidates. Friday and Saturday September 20 + 21 PA Democratic State Committe PA Democratic State Committe. Sheraton Harrisburg Hershey, Lindle Road, Harrisburg. All Democrats welcome.